Security dominates French election after shooting – Royal Times of Nigeria. 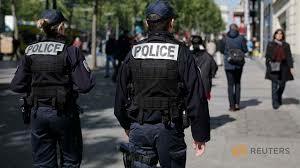 The killing of a policeman by a suspected Islamist militant pushed national security to the top of the French political agenda today, two days before the presidential election, with leading candidates clashing over how to keep citizens safe. There are four leading candidates in a race that is still too close to call. Sunday’s round of voting will be followed by a second-round runoff on the seventh of May between the top two candidates. 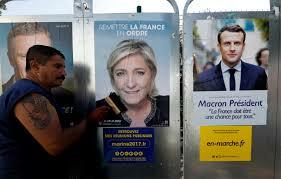 Macron is in the lead with twenty-four percent of the first-round vote, ahead of Le Pen who had fallen back slightly to twenty-one-point-five percent. Conservative Francois Fillon, a former prime minister, and the far left’s Jean-Luc Melenchon were snapping at their heels with twenty and nineteen-point-five percent respectively. The attack on Thursday night on the Champs Elysees boulevard added a new source of unpredictability to a closely contested election that will decide the management of France’s two-point-two trillion euro economy, which vies with Britain for the rank of fifth largest in the world.